You might soon be hearing a lot more from Alexa around your house. On Thursday, Amazon unveiled a range of new and redesigned smart home gadgets with its popular virtual voice assistant. The company announced updated versions of its Echo Plus ($150) and Echo Dot ($50) devices at its exclusive Seattle conference. The smart speaker devices respond to requests like “What’s the weather today?” or “Play jazz music”; function as home hubs for voice-activated smart appliances like light bulbs and garage doors; and let users talk directly to a local real estate agent. The new Echo Plus features some additions including a temperature sensor, better sound quality from the speaker, and controls the ability to recognize and respond to a user’s voice without an internet connection. 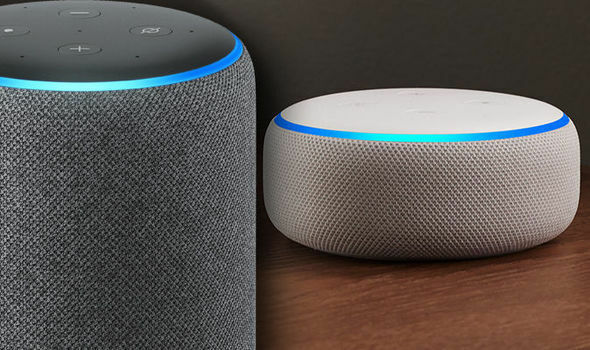 The Echo Dot, which the company says is its most popular smart speaker, will be 70 percent louder than the earlier version, according to Amazøn. Both devices have also gone through a physical makeover — the new versions will have fabric covering and a more rounded shape. The gadgets can be pre-ordered on Amazon online now but will ship next month. 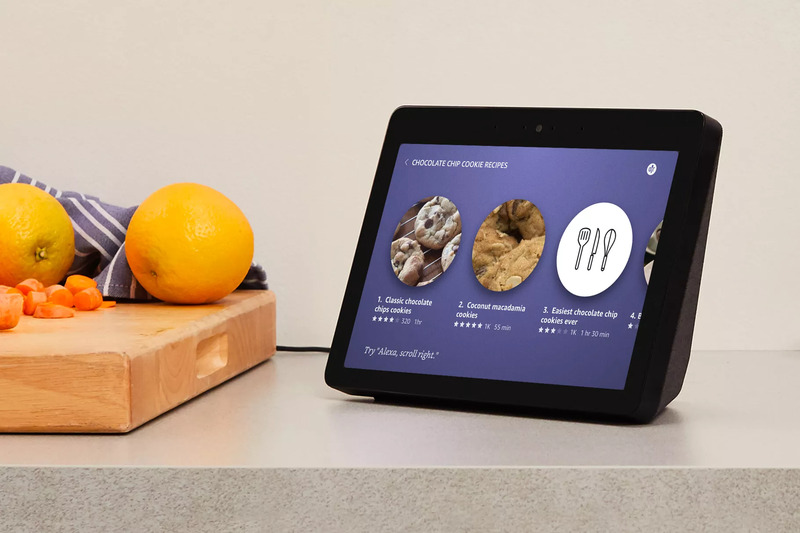 The company is also launching a new version of its Echo Show with a 10-inch screen ($229) (the old one had a 7-inch screen), and the Echo Input ($34), which gives any existing speaker Alexa capabilities. It is no secret that Amazon is pushing for a future in which one’s home appliances are all voice-controlled and interconnected. So along with the Echo devices, Amazon introduced other new smart appliances, including a new Amazon Basics Microwave ($60) that will respond to voice commands such as “Alexa, bake a potato” and allow users to set cooking times without pressing any buttons. Amazon also unveiled an Alexa-enabled wall clock ($30) that allows users to set timers by voice. 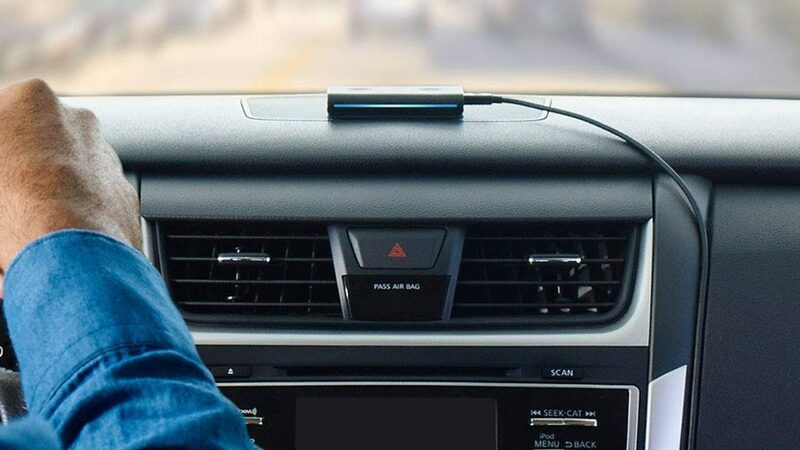 The Echo Auto ($50), a device that mounts to a car dashboard and allows users to control their home appliances while driving, will also be available soon (in case you forgot to turn off the oven). And finally, Amazon is making further strides into the home security market: the Alexa Guard listens for sounds like breaking glass or a set-off smoke alarm while the user is away. It also announced the launch of new security cameras ($180) from Ring, which the company purchased in February.